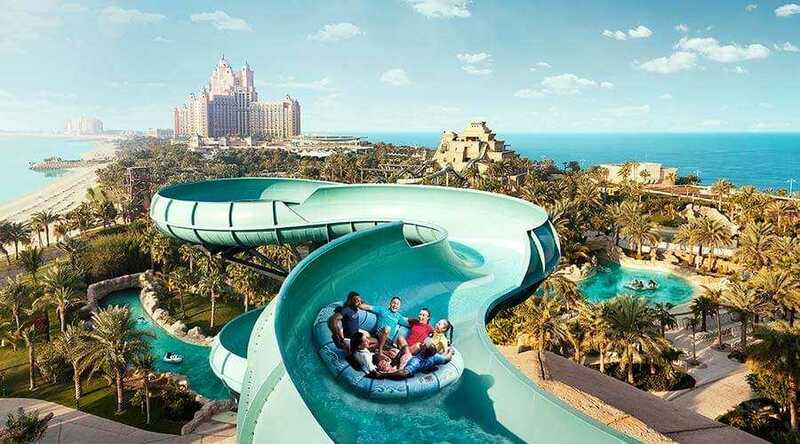 Water Parks in Dubai – You haven’t visited Dubai if you haven’t made a splash in one of their wet and wild water parks! 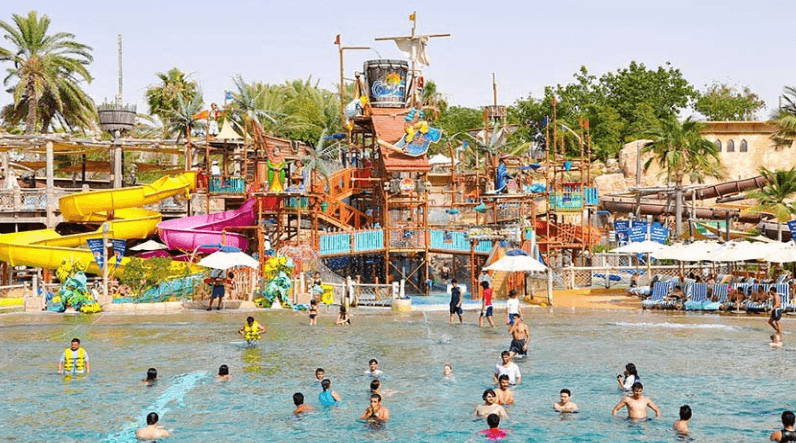 If you’re planning a trip to one of the biggest water parks in Dubai, be sure to check out what each of them offers before you make your decision. The Atlantis Aquaventure Water Park lives up to its name – it’s an adventure for the whole family, with tons of rides and slides, as well as a private beach. Right up next to the shining ocean waters, Atlantis Water Park offers the promise of watery fun and relaxation for adults and kids alike. If you’re most interested in rides, the park features a 9-story mega slide that sweeps you through an underwater tunnel, where you might glimpse a school of fish or shark as you whiz by. The park also offers interactive animal experiences with almost 65,000 marine animals onsite. You can sign up for the opportunity to swim with sharks, feed the sting rays, and play with dolphins. If kissing a dolphin is on your bucket list, this is the park for you! Do your kids like Legos? This amazing Lego-themed water park has 20 rides designed specifically for a fun family experience. From the rides to the location, this park is designed for families to enjoy together. In a special designated toddler play areas, your littlest ones can enjoy larger-than-life Lego characters and mini slides. Throughout the rest of the park, visitors can hop on a family raft down a lazy river, have a slide race down the Lego Slide Racers slide, or twist and turn in the waves in the wave pool. 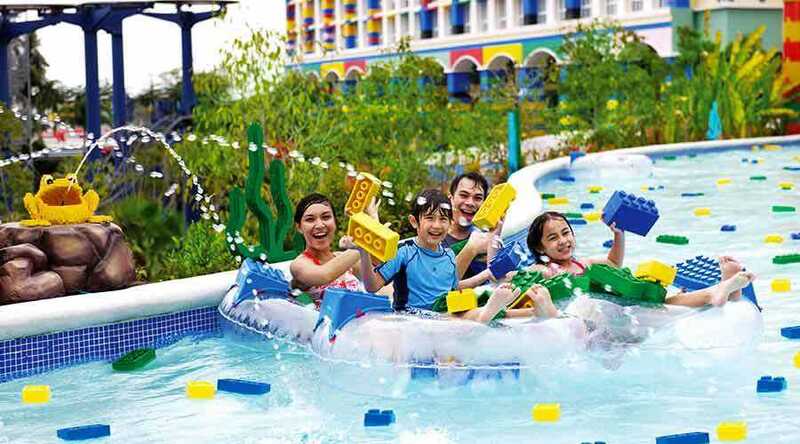 Legoland Water Park is truly the inclusive experience that’s meant for families to enjoy together. 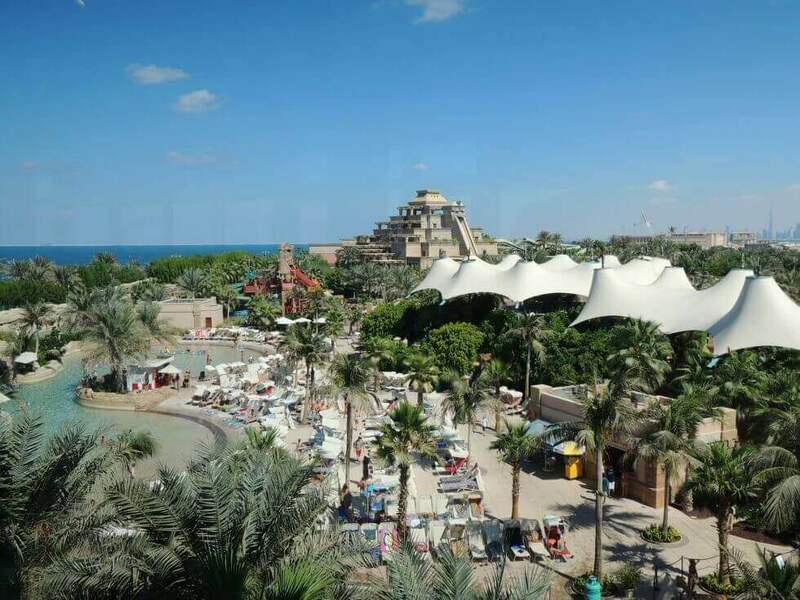 This is one of the Water Parks in Dubai that offers a family-friendly menu onsite. With over 30 rides and attractions, Wild Wadi Water Park offers fun in the sun for the whole family. Relax and lay back in the lazy river, or whip through the adrenaline-pumping, fast-paced Master Blaster. Wild Wadi has a lot of options for the little ones in the family as well. The kid-friendly activities and rides are perfect for kids under the age of 13. And, they won’t get bored – the park features over 100 kid-friendly activities to keep them occupied all day long. Wild Wadi also offers many dining options, and private areas for adults to take a break from the fun. A man-made beach is also onsite for families to lay back, relax and soak in the sunshine.